Ever since last year’s E3 we’ve been hearing Nintendo preach about how great the Wii Motion Plus works for Skyward Sword. It’s been virtually the foundation of the game, as well as its biggest selling point, and from what we’ve heard from reviewers, the hype is warranted. 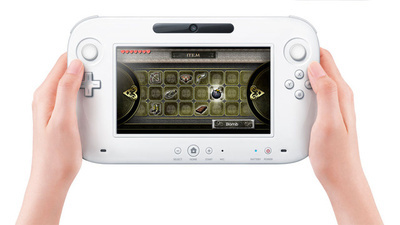 Now at this year’s E3, the big hype not just for Zelda, but in general, has been the new Wii U controller. Zelda got special mention in how it could make use of new controller with its Twilight Princess-esque HD tech demo. So with all these cool different controls for Zelda, what’s the problem? Miyamoto has said time and time again how integral Motion Controls are to Skyward Sword, and how the Zelda team expects this to become a staple in the series. Yet in showing off the various functions of the Wii U, Nintendo showed off a Zelda tech demo, and even had it playable on the E3 floor. Overall, I was pretty impressed with what the controller was capable of, and using it in a Zelda game is definitely an exciting prospect, but where do Motion Controlls fit into all this? If the control shcme for Skyward Sword is as innovative and impressive as Nintendo says it is, and as I believe it is, then it seems a shame that it might only see the light of day for one lone Zelda game. Yet, if Nintendo retains the control scheme from Skyward Sword when they develop a Zelda for the Wii U, then you’re not making use of the Wii U’s big selling point: its controller. Either Nintendo ditches that which they claim is revolutionary and integral to the future of Zelda, or they pass on fully utilizing their new hardware with one of their biggest franchises. Now, it’s been shown that both types of controllers can be used in conjunction for some games, but those seem to all be multiplayer or sports games, like the golf demo they showed. Would Zelda really be able to function smoothly using two different controllers? Seems like it would be more of a hassle than an innovation. The only solution I can see is for Nintendo to offer both sets of control options, but not simultaenously. Give the player to choose whether they want the action of Wii Motion Plus, or the new opportunities opened up by the Wii U controller. I’m sure we have a long wait ahead of us to find out what Nintendo chooses, but in the meantime, what direction do YOU want to see Nintendo take with Zelda controls?